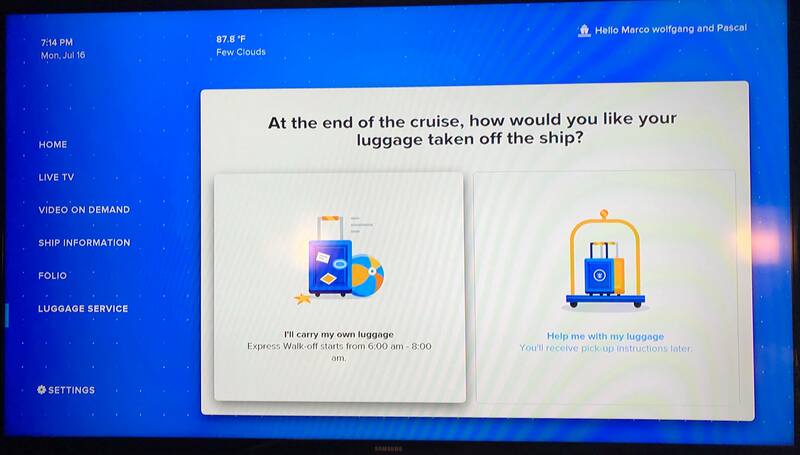 Guests sailing on Royal Caribbean's Symphony of the Seas now have a new option for letting the cruise line know their luggage prefernces upon departure. 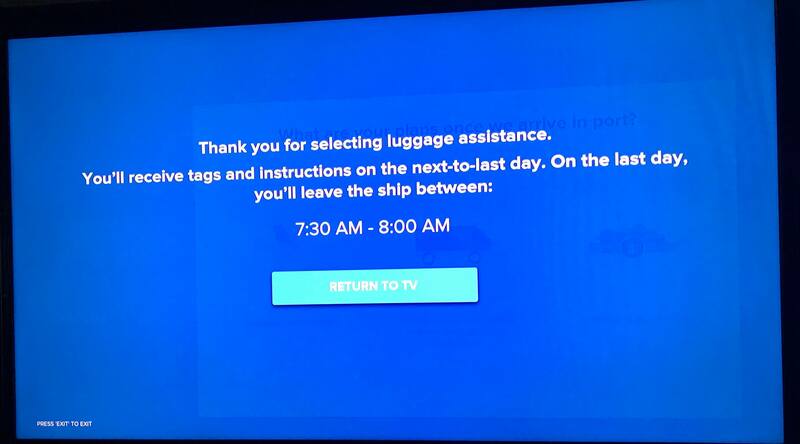 Royal Caribbean Blog reader Rich Freudenberg noticed this new interactive luggage departure form on his stateroom television. 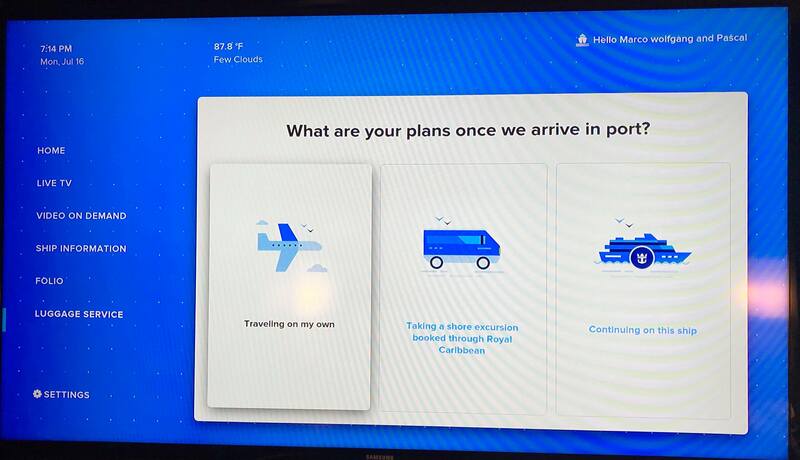 Rich noted that when you turn it on, it instantly asks you about your luggage preferences upon departure. 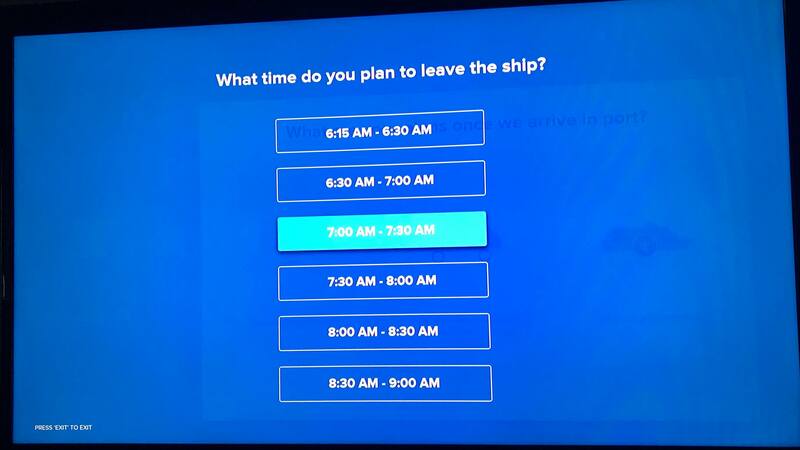 By taking advantage of this interactive option, it forgoes the need to fill out any forms. 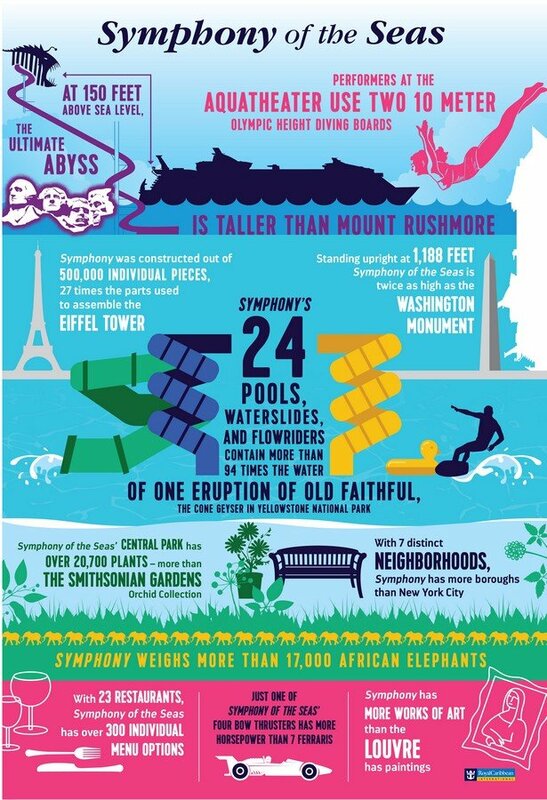 Royal Caribbean's newest cruise ship, Symphony of the Seas, is certainly an impressive and spectacular cruise ship with a ton to offer. Just how impressive, you ask? 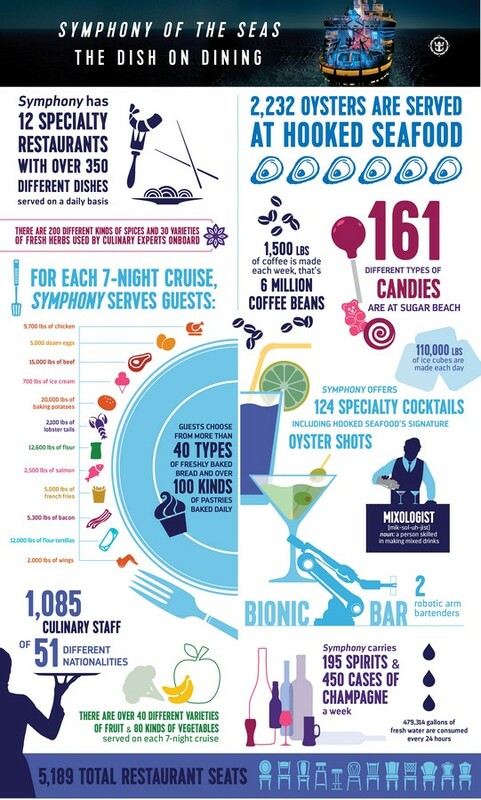 Check out these two brand new infographics to get a sense of just how much Royal Caribbean has packed into this amazing new ship. 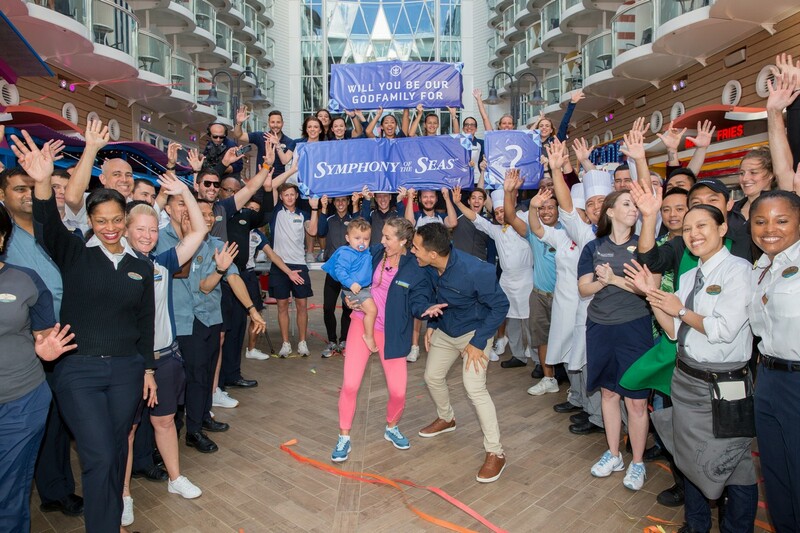 Royal Caribbean announced today that Symphony of the Seas will not have a Godmother, rather, a Godfamily by choosing Carlos and Alexa PenaVega, along with their 17-month-old son, Ocean. This is the first time a family will be the Godfamily of a cruise ship. The selection of a new ship’s guiding spirit, customarily a godmother, is rooted in a longstanding maritime tradition. The role is often held by renowned athletes, celebrities and royalty. 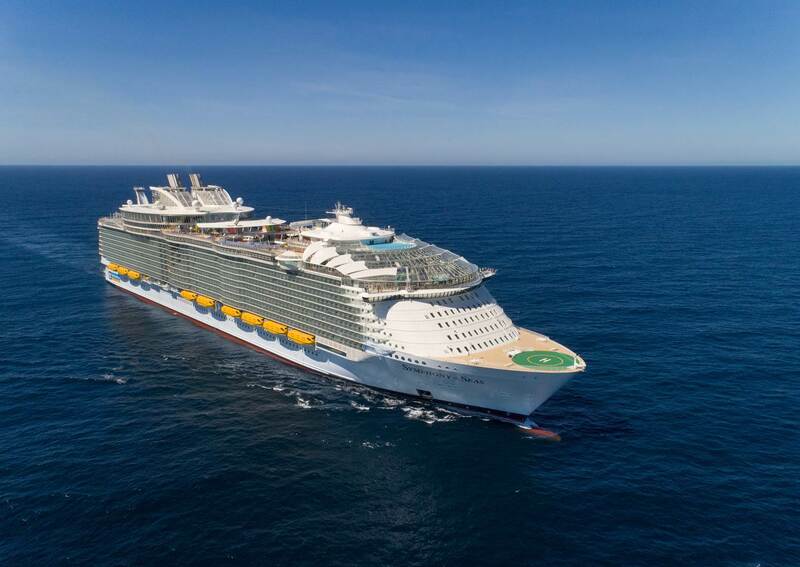 Royal Caribbean says they picked this family because they have celebrated a number of family firsts on Royal Caribbean’s Oasis Class ships, as well as personify the spirit of the new ship, redefining the way families stay and play. 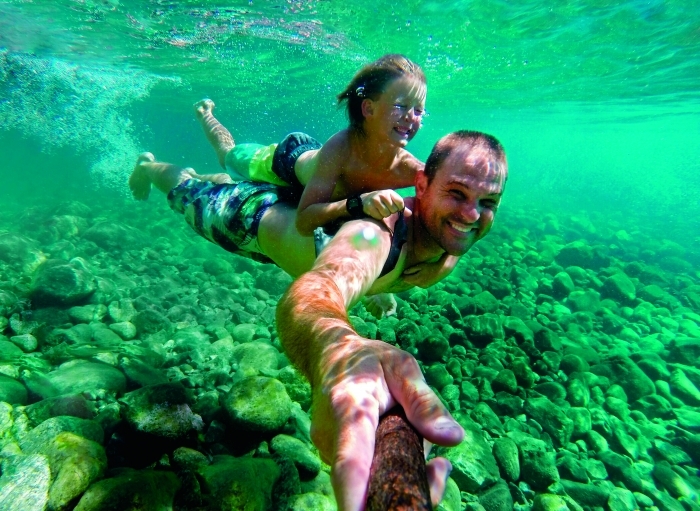 Royal Caribbean’s nearly 25-year relationship with Carlos began on his first cruise when he was just 4 years old, only to be beat by son Ocean, who sailed for the first time at 13 months. The family will have the honor of formally naming Symphony when she arrives to her permanent home in Miami in November.